Bottega del Vino Rosso Amarone Wine Glass BV07 (P/N BV07). Mouth-blown and hand finished, each stem features a superbly-crafted bowl with single-pull stem for the best possible feel in hand and mouth. 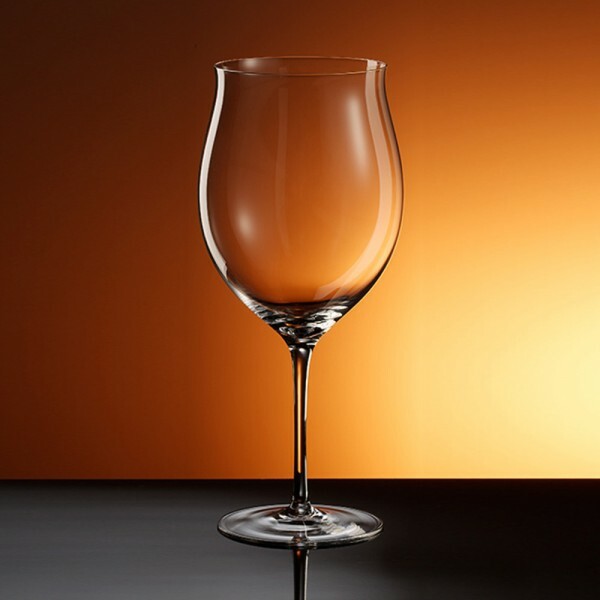 Our crystal is dishwasher safe, lead-free, and suitable for restaurant use, yet offers the finest presentation available for your wine—truly the perfect balance between pleasure and practicality! Our most popular stem, the Rosso Amarone is designed for medium-bodied red wines such as amarone, merlot, Brunello de Montalcino, and Shiraz. Bottega del Vino stemware is break resistant—so these glasses will look beautiful and provide wine enjoyment for years to come!